Sometimes all you get is the general shape of the critter. The big-headed American Kestrel (Falco sparverius), for instance. Other times, you take your best shot. 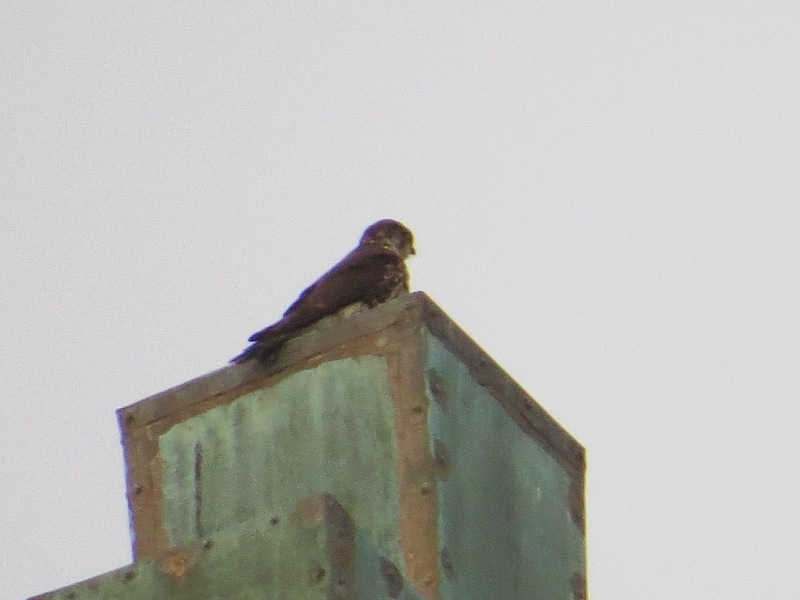 I thought this might be a Kestrel, too. 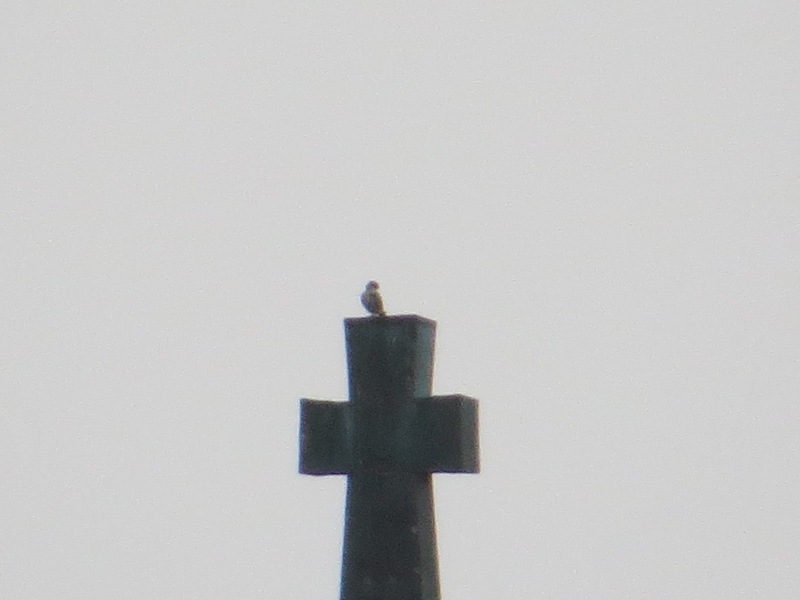 But it sure was spending a lot of time up there, a behavioral characteristic I haven’t seen so much with Kestrels. I hustled the half kilometer downhill to get a better view. (Still a crappy photograph, but better than nothing.) Much darker, more heavily streaked. Merlin (Falco columbarius)! So I’d been seeing this shape up there off and on from 2/20. Had it been a Merlin the whole time? 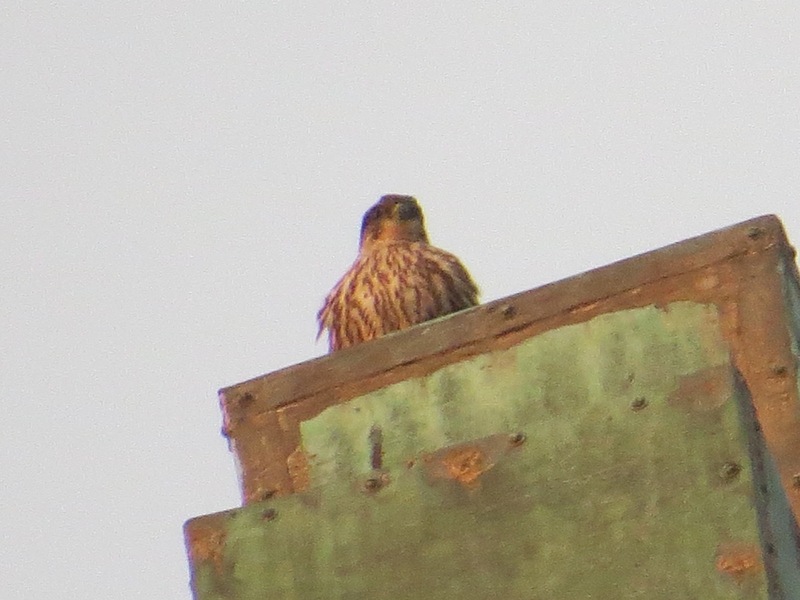 The last time I definitely saw a Merlin was New Year’s Day. 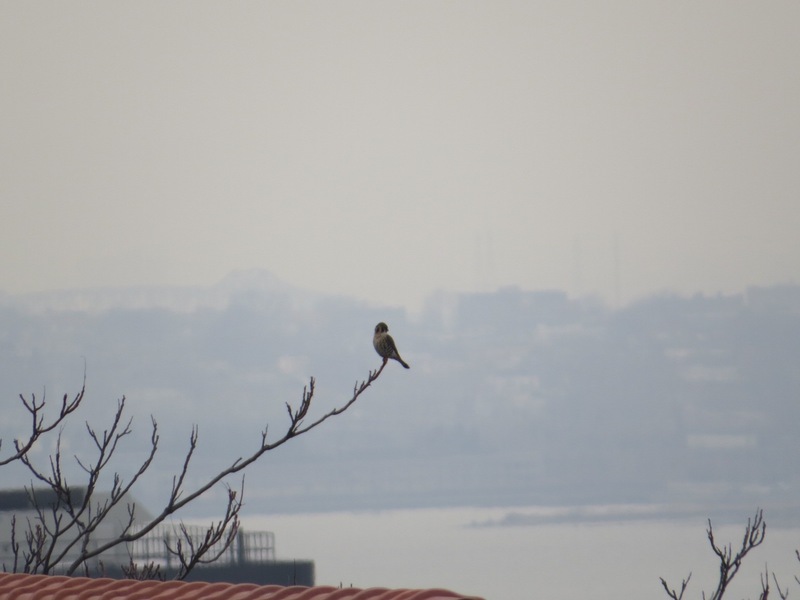 There have been a few ebirds sightings in the borough since then. And this past weekend there were two in Green-Wood!